RC race tracks come in all shapes and sizes. That said, there has been a shift or evolution in tracks over the years. Tracks continue to get bigger and more complicated. In fact, huge tracks with MX-style jumps are no longer a rarity. Many hobby shops start off with small tracks and continue to look for ways to make them bigger as they simultaneously look for ways to incorporate more obstacles. 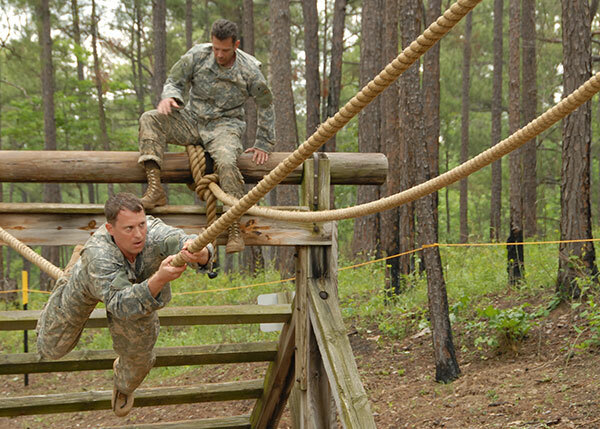 The problem is that the tracks start to be more like obstacle courses than race tracks. Two things happen as a result. First, the quality of the racing suffers. Simply navigating the track is just as much, if not more, of a challenge than racing the competitors. Second, the tracks and the resulting racing are uninviting to beginners and even the casual occasional weekend warriors who can’t dedicate a large portion of their lives to racing and practicing. It’s one thing to have to practice so you can get around the track faster, but it’s another thing entirely to have to practice to be able to just make clean, consistent laps. That should be the goal of beginners. Intermediate drivers shouldn’t have to focus on that. While local tracks have gotten out of hand, in my opinion, this has even become a problem at the highest levels of racing. World championship tracks are often now simply, well, ridiculous. 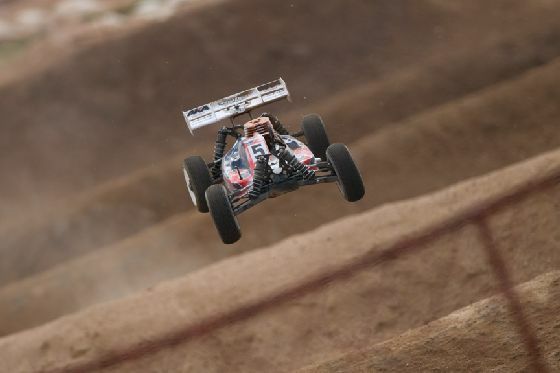 At the 2011 1/8-scale off-road world championship, highly talented professional drivers complained that they were hours into practice before they could even put down a handful of consecutive laps without crashing or having a serious bobble. Do you think the hour-long main event was full of the close side-by-side racing you’d expect from the world’s best drivers? When the tracks are so difficult that even the pros have a hard time turning laps, good racing will never be the result. So, what’s the solution? It’s simple. Let’s get back to basics. I realize most people have never been to a full-size off-road track, but I assure you that our RC tracks don’t even remotely resemble the real deal. Want better racing? make real race tracks. Have just as many smooth corners that flow one one to the next as there are tight switchback turns. Rethink the jumps. Have longer shorter jumps that send the vehicles flying low and level. A big double jump is fine, but having a track filled with colossal double and triple jumps really only works if everyone is running 1/8-scale buggies. And trust me, the 1/8 scale guys won’t miss the relentless airtime, if they get rewarded with better racing. I believe we’d all agree that flat tracks are boring, but the vehicles do have have to be on the ground to be able to race. Fewer and smaller jumps will make for more actual racing. The bottom line is that I’d like to see the evolution of track design proceed in such a way that it comes full circle. I’ve only focused on the track designs. My desire to return to loamy tracks and step-pin style tires is another topic/rant all together. while I agree to an extent, the tracks used for a world championship-caliber event should be the most challenging track possible. If these guys truly are the best, they should be able to get around any track without crashing even if they have to roll every obstacle – slowing down and taking your time on a technical track can pay dividends at the end of a main, especially long mains where even one crash every 5 minutes can cost you multiple laps in the finishing results. I totally agree with you, our local track is too much like a MX track and it’s difficult for a novice short coarse guy like me to get around the track on all four wheels. I personal love long low jumps, they are much easier for me to handle, and less likely to brake something on landing. I’ve read a few articles on track’s but none said how wide the lanes should be for the different scale’s of car’s or length from start to finish, what’s your thought’s on that ? you think flat track’s are boring , have you tried dirt ovel ? I think the best track design incorporates most scales and experience levels. Too difficult of a track or weird setups descirminate certain vehicles or people from even bringing out thier cars. The best track idea I liked is the City park at Freedom Park in Camirllo, Ca. 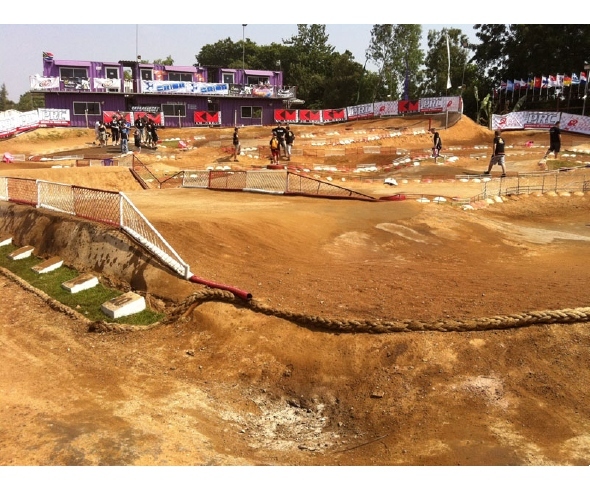 The off road track was an oval with an inside area with more lanes of doubles , table tops, etc. The oval guys would come out on Saturdays and short course guys go at it Sundays using a section of the oval for their straight-away. atarit , very true. we wanted to do that (incorporate the dirt oval with the short course). Seemed to be perfectly logical. However, our local club nazis would not have it. So instead of everybody having fun, nobody is having fun. An open minded “trial by error” approach is best. As long as those who run the track have a brain and are not against change. i managed a track the best way to make for good racing is to incorporate speed with technical, i.e. if you have 4 lanes make 2 of them fast no jumps just speed 1 lane with a double or triple, then the last lane some small flowing set of doubles. I think track design should have the right balance for those that will race on that track. Too easy and the fast guys get bored. Too hard (Tech.) and the new racers give up and quit racing. Add to that, when running mutiple classes of different scales (1/8th to Truggy to 1/10th Buggy or SC) the design requirements for track design for a given scale are not always the same and thus the balance becomes an often overlooked issue. At the top level, a track design “should” challenge the abilities of the racers running on the track. I will admit, that the Worlds layout was probably a bit over the top in the design. Thank god I don’t have to club race on a track like that week in week out. Please tell me you were joking about those world class drivers whining about the track being to hard…..A world championship track should be hard to tax their abilities as the pros they claim to be………shouldn’t be any crybabies in a world championship.. ever. now on the local level I can understand as those are generally made up by regular joes who actually work for a living and pay for damages out of their own pockets.. and that makes a big difference… too difficult and many may leave for easier pastures…..